Only one employee can climb this ladder, and she is an exclamation point. 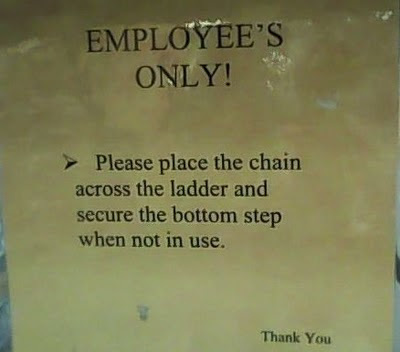 Jason spotted this apostrophe catastrophe at a Lowe's in New Jersey. Do You Recall This Egg Catastrophe?